I don't know about you, but I've got a busy, energetic, and hungry toddler on my hands these days. My girl is into everything, which is working up her appetite like I've never seen. In between all three meals, she's insisting on a snack. 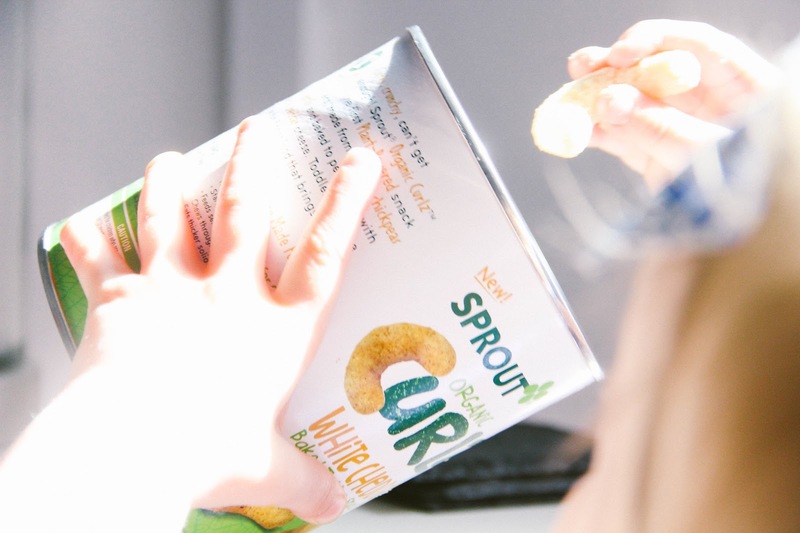 And since I know she needs something that's not only going to tide her over until the next meal, but also tastes delicious, I'm always on the lookout for a snack that is packed full of nutrient rich ingredients. She needs sustenance for her growing body and the energy to keep fueling her playtime and imagination. 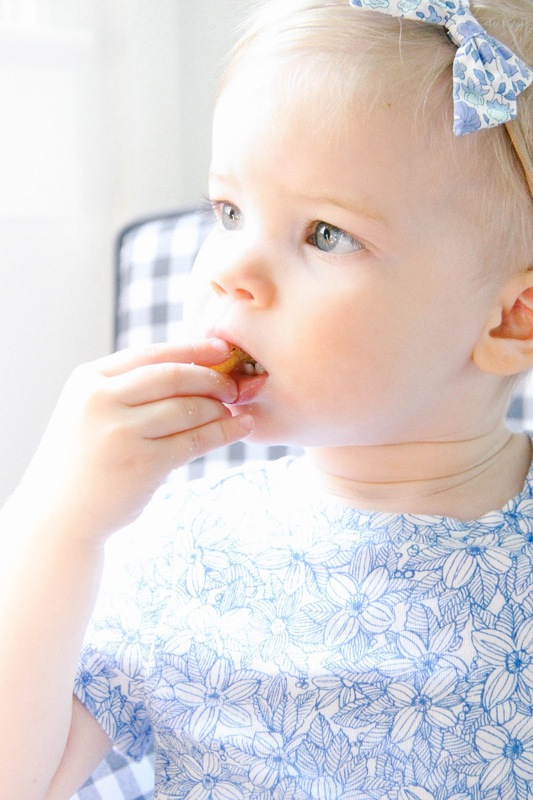 My little one is a visual and textile learner, and loves to hold her own food and feed herself. It's part of her development and the best way she absorbs something new. So when I'm looking for a snack, I'm looking for something that she can easily eat without help from mama. It's important that it's also healthy and will provide her with the right nourishment to keep her belly full and her tastebuds happy. 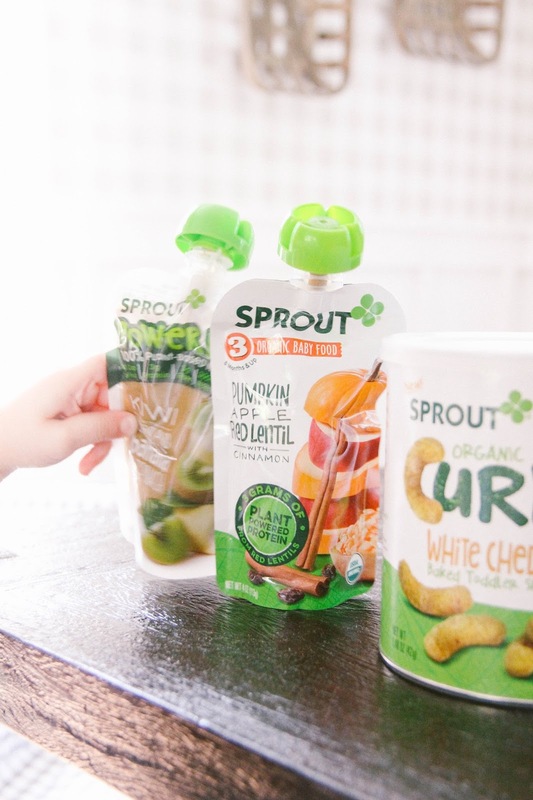 Fulfilling snack-time must-haves has been a success when we reach for Sprout's broad range of choices that include USDA certified organic, non-GMO ingredients, and a mix of whole fruits, vegetables, and grains. 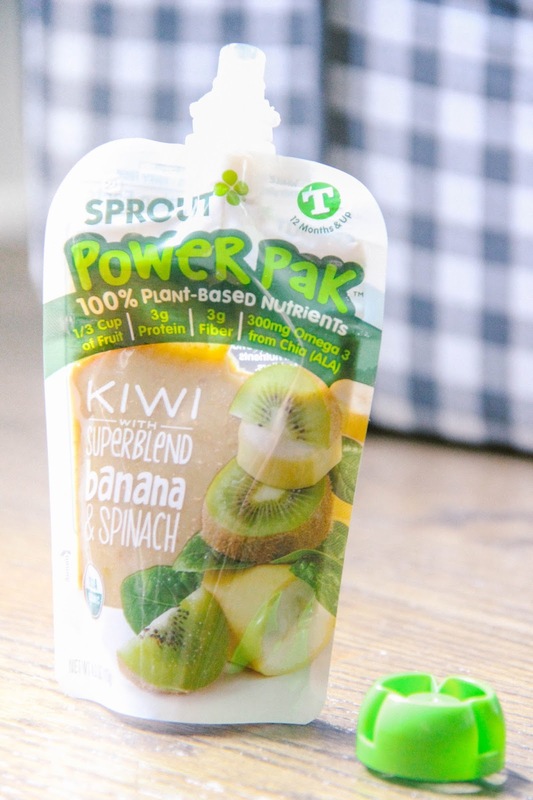 Recently, Sprout has launched the first plant-based protein baby food purees and toddler snacks, which provides my girl a healthy snack full of essential nutrients from whole, organic, plant-based foods. And have I mentioned that she loves the taste too?? Win, win! 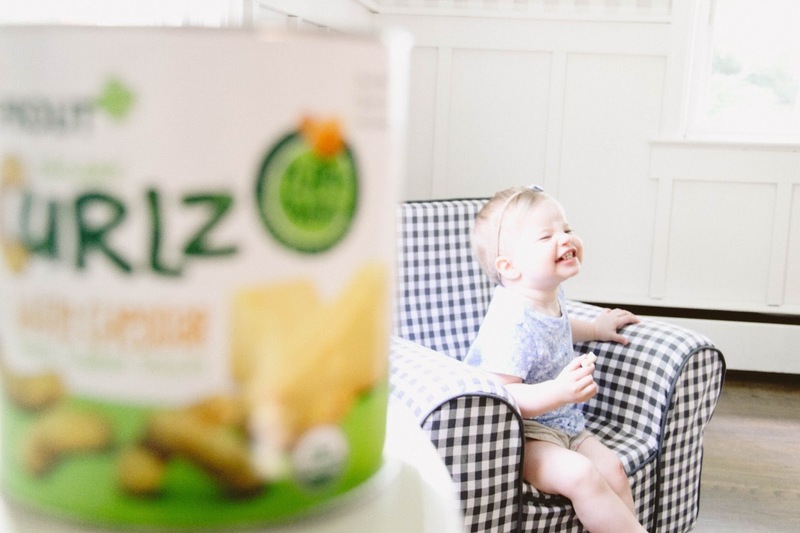 So when it comes to our daily snack times, we're making sure my adventurous, never-sits-still girl is enjoying her options, getting a good introduction to new flavors and textures, and establishing a love of healthy foods from the get-go. 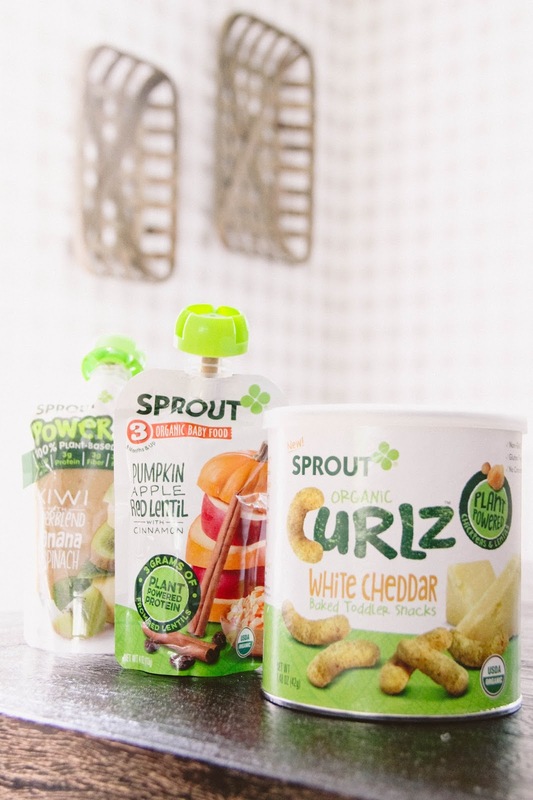 And I love that all of the Sprout foods contain no added or artificial flavors, colors, preservatives, concentrates, or sugars. If this face doesn't say it all! 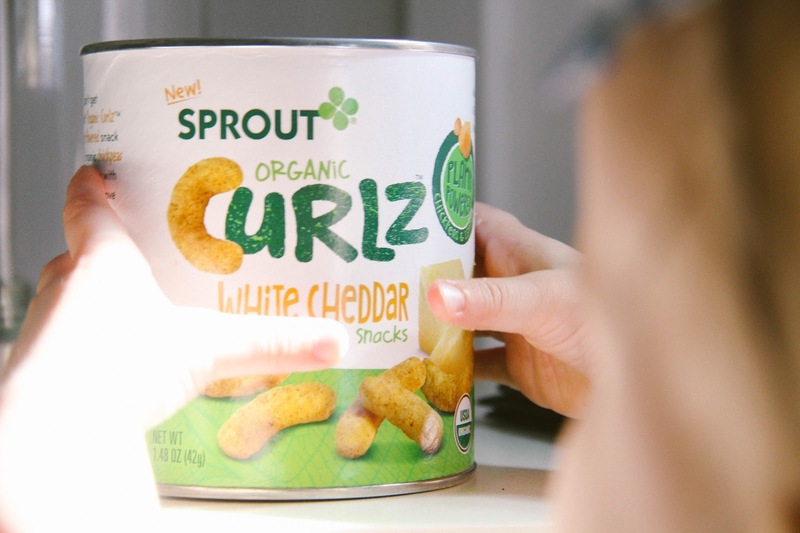 From the plant-powered pouch purees to the perfect-kind-of-crunch Curlz, Greer is obsessed. She not only loves the texture, but she loves the taste. And if she were allowed, she would gladly eat the container of White Cheddar Curlz in one sitting. This mama snuck a few to see what all the craze was about. And y'all they are good! I would eat them as a snack too. 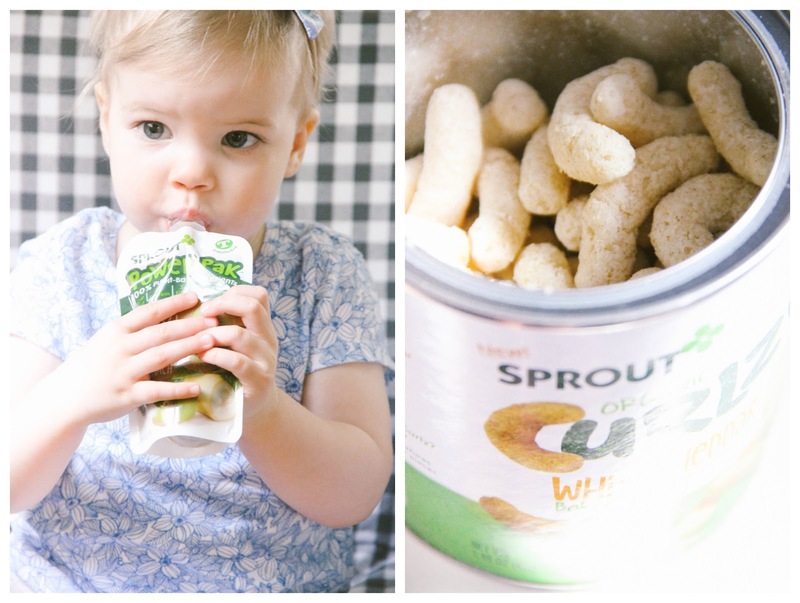 Be sure to read more of what Sprout is all about and grab a coupon too while you're there!